In November 2016, the Bermuda Conference recognized and celebrated senior citizens by dedicating a special weekend to them. The guest speaker for the event was T. Marshall Kelly who reached hearts as he spoke on the topic "Looking Unto Jesus" during the worship service. The attendees also had the privilege of taking part in an afternoon banquet. 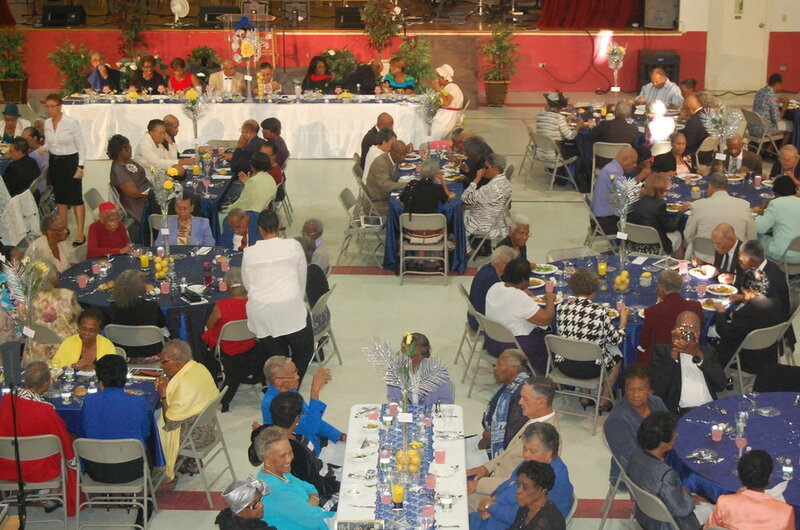 They enjoyed the scrumptious four-course meal, uplifting music, and the fantastic fellowship. Bermuda Conference Adventist Community Services (ACS) held a seminar series on Eldercare conducted by Wynelle Stevens, Eldercare Coordinator of NAD ACS. The 65-plus age group is currently the fastest growing generation, therefore creating a great need for a specific ministry to reach out to the aging population. The workshops focused on understanding the needs of senior adults as well as caregivers and how to minister to their needs. Bermuda Conference president, Pr. Kenneth Manders, stated that this weekend celebration was the Conference's appreciation to our seasoned citizens. He went on to add, "We are walking on the foundation of many generations" to remind the attendees that they have reached so far in life by God's grace and by the help of those who have paved the way for them.